Table tennis is one of the most popularly played indoor sports all over the world. Also known as ping pong, it can be played by two or four players. It is a sport that require a good deal of agility, strength and focus from the players, as they always have to be on their feet, and it is also essential for the players to be extremely light on their feet. Defying all common beliefs of uninformed people about indoor sports, table tennis is one of the toughest sports that require extremely athletic players who can only excel in the sport after a regular regime of practice and skill, along with exercises to remain fit and healthy. 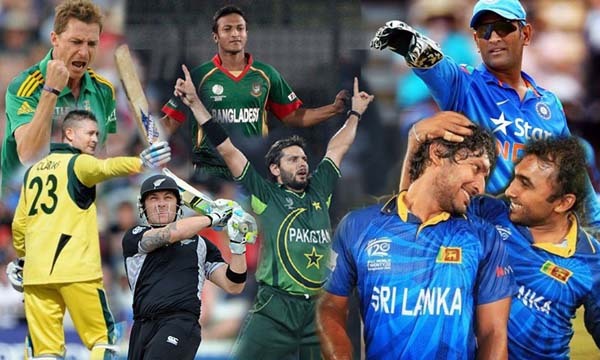 While the sport is popular all the world over, it is particularly popular in Southeast Asia. 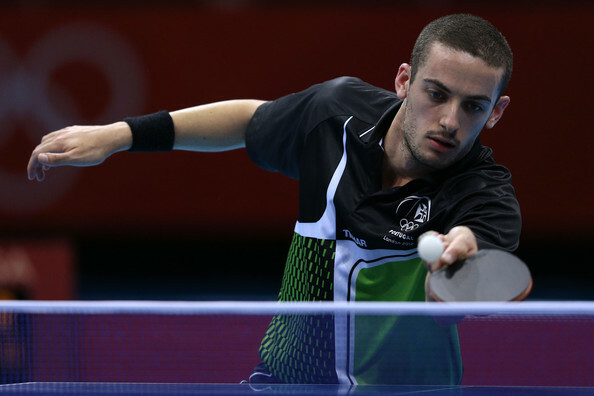 Let us take a look at Top 10 Male Table Tennis Players from all over the world. Chinese male table tennis player Xu Xin was born on 8 January 1990, and is currently the number 1 ranked player in the world according to the International Table Tennis Federation rankings as of January, 2015. He is currently sponsored by STIGA. Xu Xin uses STIGA Intensity NCT as his blade, red colored STIGA Calibra LT rubber for his backhand and black colored DHS NEO Skyline 3 TG3 for his forehand. He is one of the few penhold grip players from china where most of the young generation players are shakehand. After he achieved the ITTF World Tour Grand Finals in December 2012, he reached the number one spot in the World Rankings in January 2013. He again defended his title by beating Ma Long Long in the finals of the 2013 ITTF World Tour Grand Finals in Dubai in January 2014. 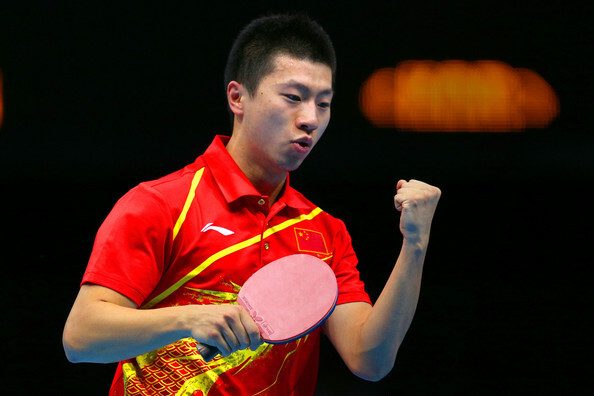 Chinese male table tennis player Ma Long was born on 20 October 1988, and is currently the number 2 ranked player in the world according to the International Table Tennis Federation rankings as of January, 2015. He achieved a record 5 ITTF Pro Tour tournaments in a row till now with a winning streak of 35 sets in a row. 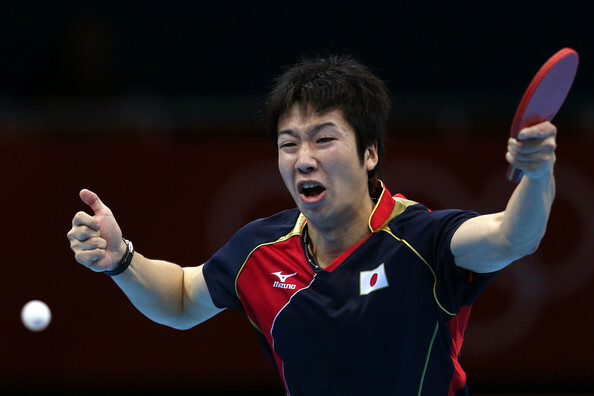 Because of his winning streak, he was nicknamed as the “ITTF Pro Tour King”. Ma Long uses DHS Hurricane Long 5 as his blade, black colored Nittaku Hurricane 3 Neo for his backhand and red colored Tenergy 05 for his forehand. 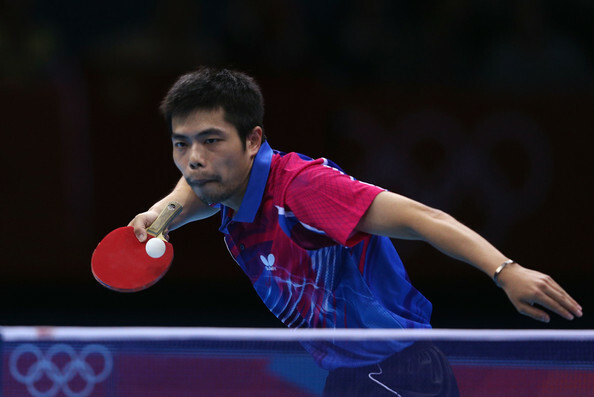 He is largely regarded as the best two-winged looper in the history of table tennis. Chinese National Team coach Liu Guoliang once stated that Ma Long has all the skills necessary to become the best but lacked sufficient mental toughness when under pressure. Chinese male table tennis player Fan Zhendong was born on 22 January 1997, and is currently the number 3 ranked player in the world according to the International Table Tennis Federation rankings as of January, 2015. Fan Zhendong uses Butterfly Viscaria blade with Stiga handle, black colored DHS Hurricane 3 blue sponge for his forehand and red colored Butterfly Tenergy 05FX for his backhand. He is a right-handed shakehand-grip player known for his attacking style with explosive footwork and amazing forehand loops. He became the China National Table Tennis championship winner in 2014 in men’s singles event. He also achieved the 2014 China National Table Tennis championship in the men’s doubles event. Zhendong drew much speculation in his encounters against senior players. Chinese male table tennis player Zhang Jike was born on 16 February 1988, and is currently the number 4 ranked player in the world according to the International Table Tennis Federation rankings as of January, 2015. He was named after the famous Brazilian soccer player Zico. Zhang Jike uses Butterfly Viscaria FL for his blade, black colored DHS Hurricane 3 NEO blue sponge for his forehand and red colored Butterfly Tenergy 64 for his backhand. He is known as a two-winged shakehand attacker with expertise in quick topspin drive attacks and loops. 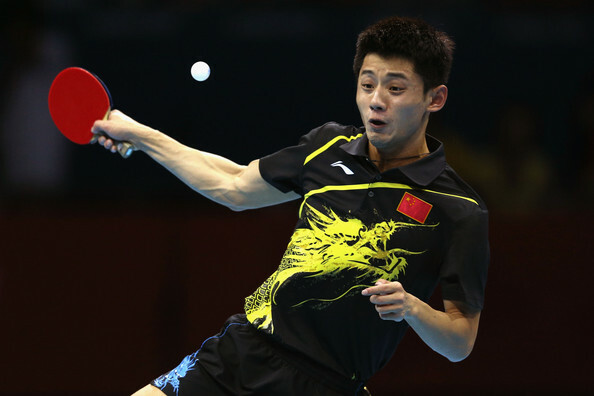 Zhang is the fourth male player in the table tennis history to achieve a career grand slam. He is known for his mental toughness which he proved while earning points in major competitions under intense pressure. Chinese male table tennis player Mizutani Jun was born on 9 June 1989 in Iwata, Shizuoka, Japan, and is currently the number 5 ranked player in the world according to the International Table Tennis Federation rankings as of January, 2015. Mizutani Jun uses Butterfly Mizutani Jun edition for his blade, red colored Butterfly Tenergy 64 for his forehand and black colored Butterfly Tenergy 80 for his backhand. He achieved the Japanese national champion at the age of just 17 and became the youngest player to achieve that feat. Mizutani Jun is an authentic left-handed player with Shakehand grip. He achieved the ITTF World Tour four times in Korea Open 2009, Hungarian Open 2010, Kuwait Open and Japan Open in 2012. He achieved the ITTF World Tour Grand Finals in 2010. Ukrainian-born German male table tennis player Dimitrij Ovtcharov was born on 2 September 1988, and is currently the number 6 ranked player in the world according to the International Table Tennis Federation rankings as of January, 2015. Dimitrij Ovtcharov uses Donic Ovtcharov Senso V1 for his blade and Bluefire M1 rubbers on both the forehand and backhand. His father Mykhailo also achieved the USSR National championship in 1982 and moved to Germany shortly after Dimitrij was born. Ovtcharov is well known for his unique serving style which was included in the top 50 innovations of 2008 by the TIME. He achieved bronze medals in both the singles and team events at the 2012 Summer Olympics as part of the German national table tennis team. 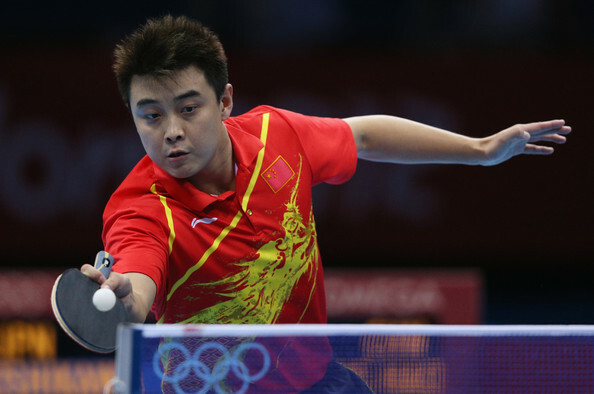 Chinese male table tennis player Wang Hao was born on 15 December 1983, and is currently the number 7 ranked player in the world according to the International Table Tennis Federation rankings as of January, 2015. Wang Hao uses DHS Hurricane Hao as his blade, DHS Skyline III Blue Sponge for his forehand and Butterfly Sriver topsheet on Bryce sponge for his backhand. He is known for executing the Reverse Penhold Backhand with exceptional skill. Wang Hao achieved the Table Tennis World Cup three times till now in 2007, 2008 and 2010. He is also the only person in table tennis history to participate in three Olympic Games in Athens 2004, Beijing 2008 and London 2012. Hao is reputed for having attacking and defensive skills of both wings of the table. Taiwanese male table tennis player Chuang Chih-Yuan was born on 2 April 1981, and is currently the number 8 ranked player in the world according to the International Table Tennis Federation rankings as of January, 2015. His father was a national doubles champion while his mother was a member of the Taiwan national team. Chih-Yuan achieved the ITTF Pro Tour Grand Finals in 2002. He was first inducted in the Taiwan national team in 1998. He made his World Championships and ITTF Pro Tour debut in 1999. He reached his career highest ranking of World Number 3 after he achieved the Pro Tour at the Brazil Open in 2003. Chih-Yuan won the ITTF World Tour titles thrice in 2003 Brazil Open, 2011 Chile Open and 2012 Spanish Open. He also won the ITTF World Tour Grand Finals in 2002. 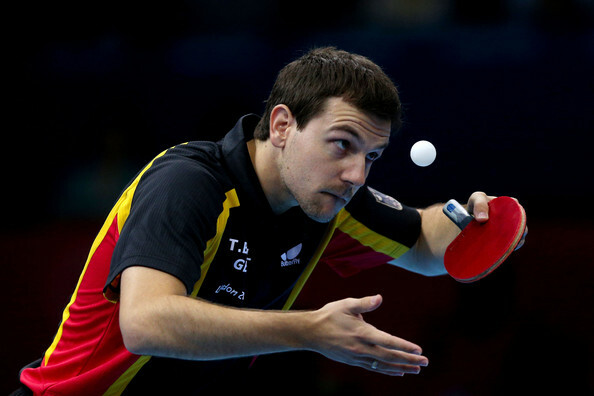 German professional male table tennis player Timo Boll was born on 8 March 1981, and is currently the number 9 ranked player in the world according to the International Table Tennis Federation rankings as of January, 2015. Timo Boll uses Timo Boll ALC for his blade and Tenergy 05 rubbers on both the forehand and backhand. He is a left-handed player and known for his exceptional forehand topspin drive and quick backhand loop. Boll ranked second in the German Table Tennis National League and currently plays for the Borussia Düsseldorf which he joined on July 1, 2007. He became the Single European Champion six times in 2002, 2007, 2008, 2010, 2011 and 2012. Boll also achieved the World Cup twice in 2002 and 2005. 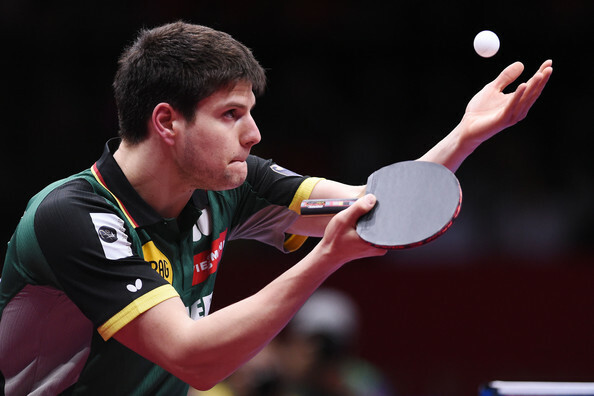 Portuguese professional male table tennis player Marcos Freitas was born on 8 April 1988, and is currently the number 10 ranked player in the world according to the International Table Tennis Federation rankings as of January, 2015. He is widely known for his middle distance offensive playing style. Marcos Freitas currently plays for his club AS Pontoise-Cergy TT besides his international appearances. He achieved the bronze medal in the men’s doubles event with Tiago Apolónia at the 2008 European Championship. Freitas then achieved the Gold medal in the men’s doubles event with Andrej Gaćina at the 2011 European Championship. He recently won the European Champions League in 2014 after he became the semifinalist of the tournament in 2013. The common idea that most people have about indoor sports is that they are not at par with outdoor sports, and these people possible think, too, that indoor sport do not match the level of skill and athleticism required. However, table tennis is one such sport that, like other indoor sport like basketball, boxing, etc. 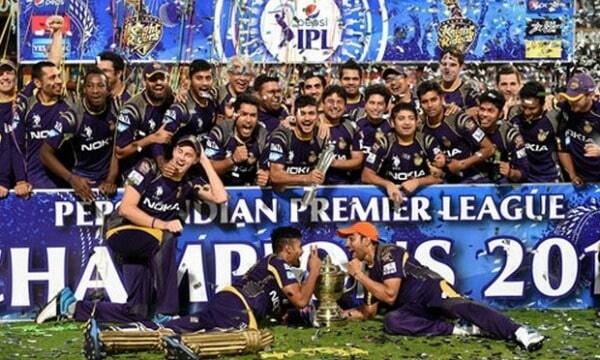 is an absolute opposite of such wrong ideas, and the players of this sport are no less in skill and capability, though the sport is under-rated, even in comparison to other indoor sports.